Late-night coffee drinks and snacks are often our closest companions while we're typing away at our computers. Keyboards becomes dirty after periods of too much use. If a keyboard becomes dirty, its performance is affected. Performance problems include repeated characters during typing and dead or stuck keys. But if you do not examine your keyboard every once in a while, your keyboard may get covered with crumbs of foods, dust or some other sticky particle that will drain keyboards life. 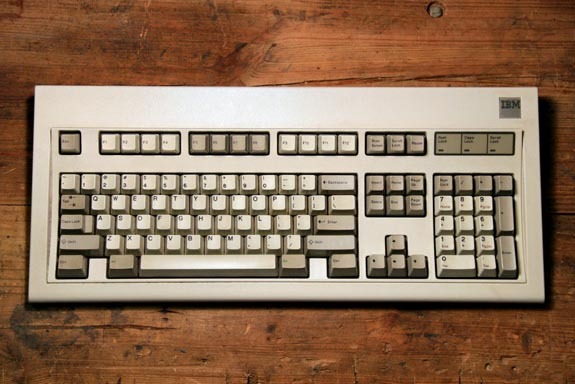 This article will guide you on How to Clean Keyboard and refresh it to newer keyboard again. The first step towards cleaning up the keyboard is to disconnect the power supply to the keyboard. Turn off your Laptop device and then get started with the clean up process. If you are using Wireless Keyboard then disconnect it and take out the batteries. Tilt your keyboard upside down and shake it fast to remove any loose debris. If you have a can of compressed air, you can spray it in between the keys as well. This would remove loose debris stuck in the keys and give you smoother keyboard experience. If you have compressed air can, or a vacuum cleaner, use it to clean the keyboard with pressure of air. This should blow out any foreign material with its high pressure of air. Use brush to smoothly remove the dust after using pressurised air. For this activity use air compressor with small lever. For dedicated keyboards or Wireless keyboards cleaning keys is very simple. All mechanical keyboards come with the design where Keys are mounted on the rubber buttons. Usually the dust particles are stuck in that gap. To clean the keys you can remove the keys just with a spoon. Lock the spoon in from one side of key and apply a pressure to remove key. Wash and dry the keys and connect them back. Dip a cloth in water or alcohol cleaner and brush it along all the surfaces of keyboard and its keys. You can use Toothpick to clean the areas between the keys. Make sure that keyboard is all dry before its taken to use. Otherwise it can damage the keyboard or computer too.